As the first grandchild of Harris Sinclair, Cadence has a lot to gain. The Sinclairs are east-coast old money whose family came to the U. S. on the Mayflower. Harris owns a small island, Beechwood, where the family gathers each summer. Two of the most important summers at Beechwood are when the Sinclair cousins–Cadence, Johnny and Mirren–are eight and when they are fifteen. At eight, they meet Gat, the nephew of the (Indian) boyfriend of one of Harris’s daughters. Gat immediately becomes one of the group, one of the Liars. But his presence creates some ethnic tension. Harris doesn’t like that one of his daughters (Carrie) has brought Indians into the perfectly tall and perfectly blonde family. Gat returns each summer and is a great friend of Johnny’s. 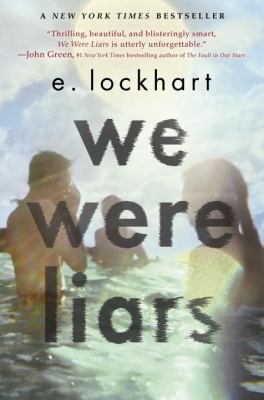 During the Liars’ fifteenth summer, Gat and Cadence fall in love. That much Cadence can remember, but little else. She was in an accident and hurt her head. She ends up with amnesia and horrifying migraine headaches for which she must take strong painkillers. Due to her accident, she is kept from returning to Beechwood for her sixteenth summer. During her seventeenth, she goes back and tries to recall all that happened. High school housekeeping: If you aren’t used to reading a book with an unreliable narrator, We Were Liars is a great place to start. This novel is wildly popular with professional reviewers. For my own part, I ended with a sense of “No fair!” because it felt like the author had cheated a bit in laying out the story for me, the reader, unreliable narrator or not. But this really is a compelling story. I recommend it to all teens and particularly lovers of mysteries and family dysfunction. This entry was posted in Fable/Fairy Tale/Fantasy, Family Problems, Fiction, Horror/Mystery/Suspense, Romance, Young Adult Literature and tagged book reviews, E. Lockhart, family problems, mystery, parent-teen relationships, Teen Issues, We Were Liars, YA fiction, YA literature. Bookmark the permalink.